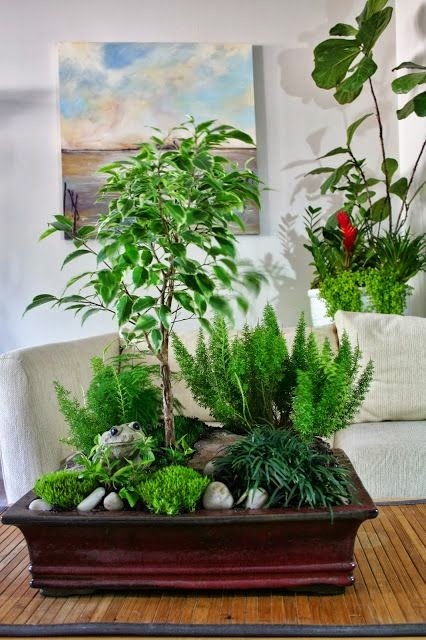 Creating a miniature garden is something that's really fun to do, this will definitely bring out your creativity and talent in decorating, and coming up with your own unique creation will always bring you a certain amount of fulfillment. This is exactly what I feel every time I work on my garden. I would normally rearrange my potted plants and bring them to a place that best suit them. Some plants need shade while others prefer to be situated under direct sunlight. You must be observant enough to know and understand your plants needs. The idea of working on a miniature garden happened as a result of seeing empty large pots in my garden. I have some ornamental plants that are cute and appealing and every time I trim my plants, I always feel like want to replant the trimmings rather than throwing them, thus I've thought of having my own miniature garden. 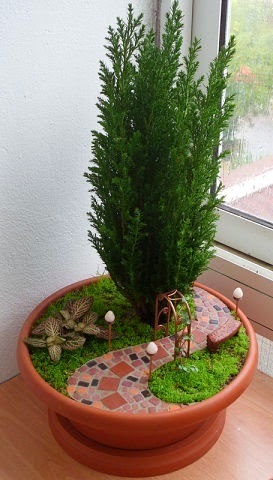 I have already been doing this before but just on a small pot which I could put inside my house but I thought that using large pots would be best if I opt to place that miniature garden somewhere around my real garden.